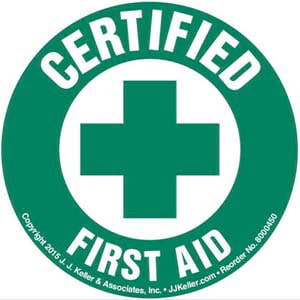 Keep workers safe by identifying certified personnel with helmet decals. 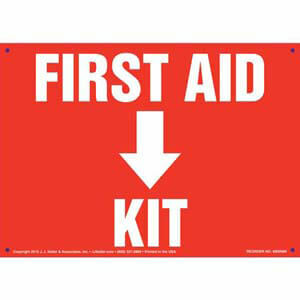 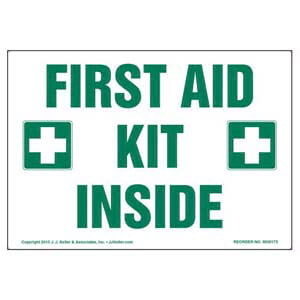 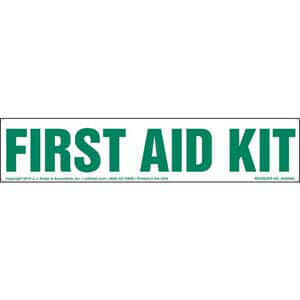 Clearly identifies first aid kit. 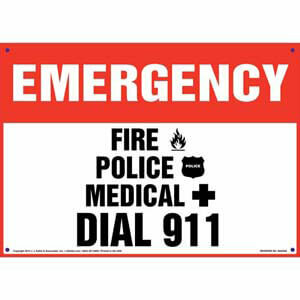 Facility sign instructs individuals to call 911 in case of emergency. 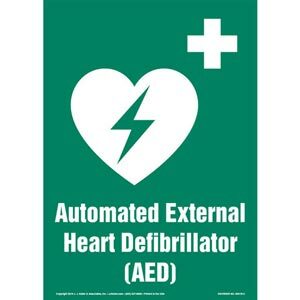 Facility sign clearly identifies Automated External Heart Defibrillator locations. 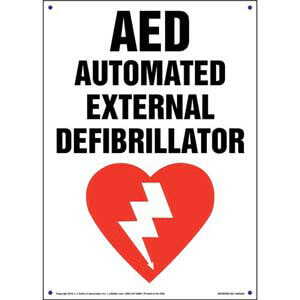 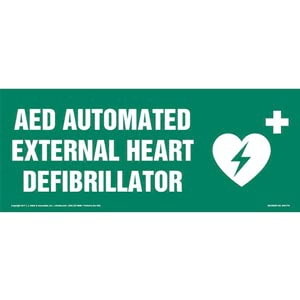 Critical safety sign informs workers of emergency AED location. 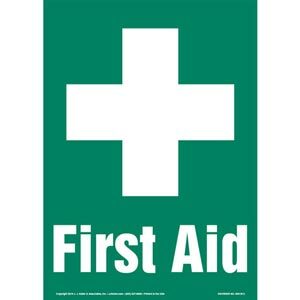 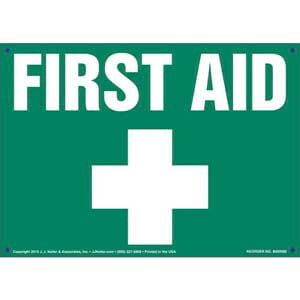 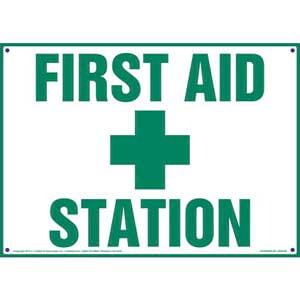 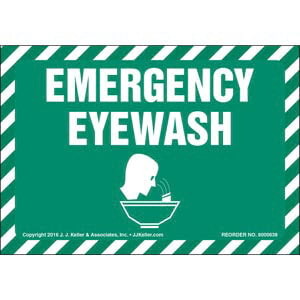 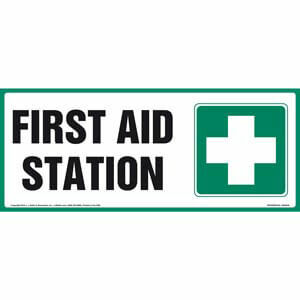 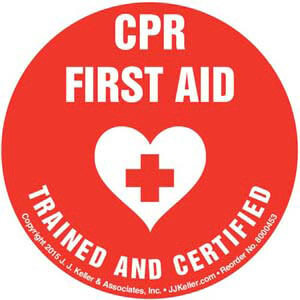 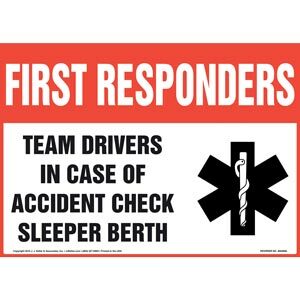 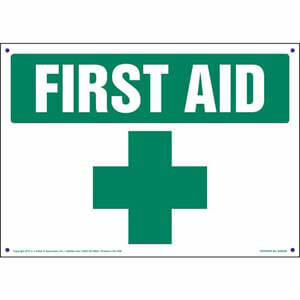 Critical safety sign directs employees to first aid location during an emergency.